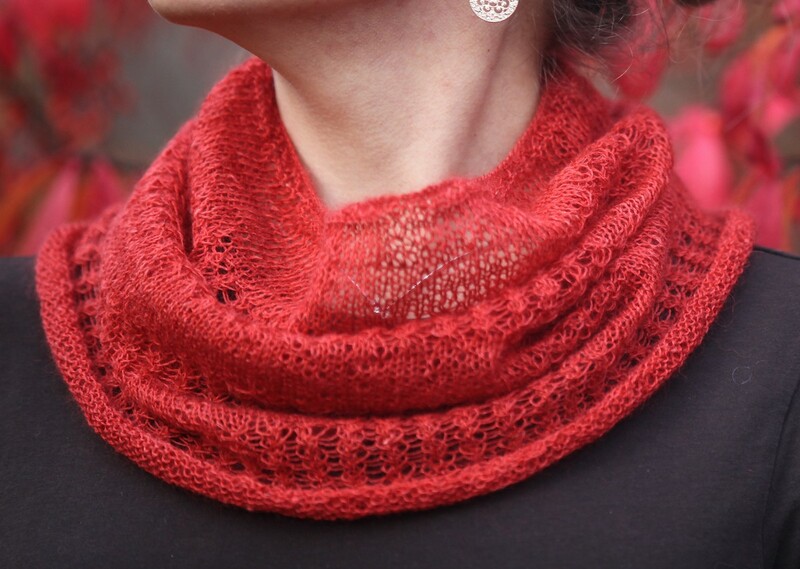 Our New Whisper Cowl Pattern, And Gifts For You!!! Les Belles Bouclettes is proud to present Nataliya‘s latest pattern, designed with our own gorgeous Butterfly Kisses Lace Weight Yarn!!! This is how Nataliya the fabulous designer of this latest creation describes wearing her beautiful cowl. More good news? 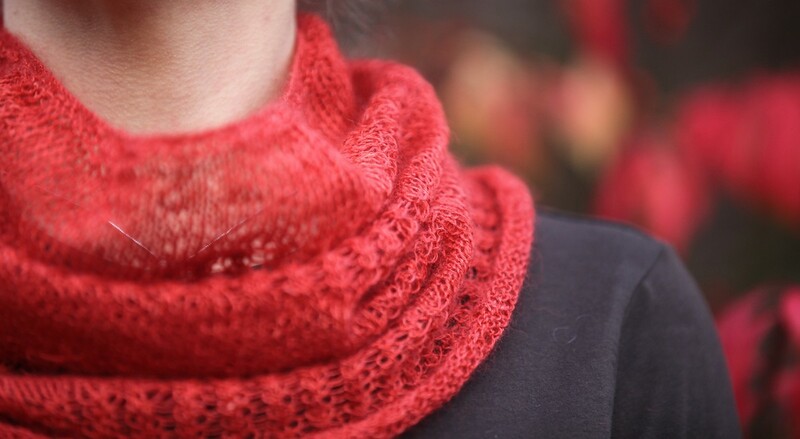 This delicate, classic, lacy cowl is knitted using just one skein of our kid mohair-silk blend lace weight yarn, Butterfly Kisses. 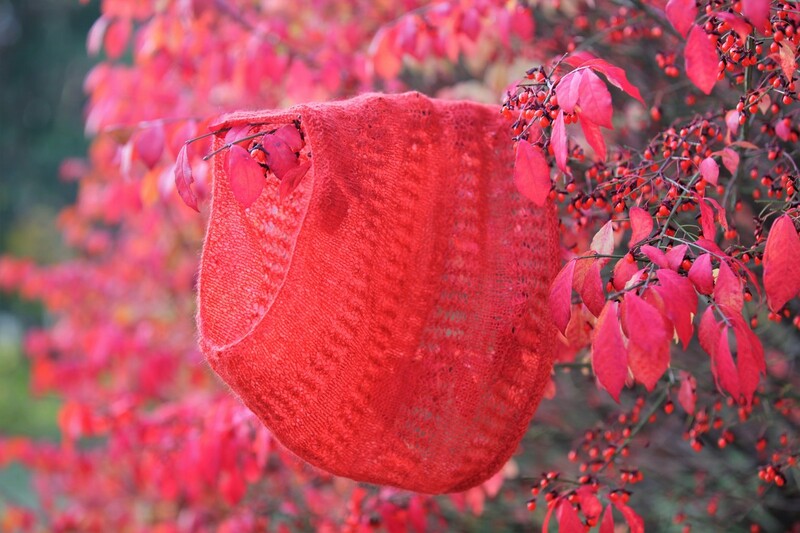 What a gorgeous gift to give to the knitter in your life, or to make for the one you love! To celebrate the release of this new knitting pattern, Les Belles Bouclettes is thrilled to be offering you a 30% discount off of the purchase of The Whisper Cowl kit!!! From now until Friday Dec. 14th midnight ET. simply enter code Whisper30 when you place your order and receive your own kit with a substantial discount! To celebrate the Christmas season, Les Belles Bouclettes is offering many more discount gifts to you! We have a whole schedule worked out and you’ll be able to stock up on different patterns at discount prices every week between now and Christmas! Dec. 15th to 17th: patterns in the categories: hats, headbands, mittens, will have a 20% discount! Dec. 18th to 20th: patterns in the categories: scarves, cowls, wraps, vests, capes, will have a 20% discount! Dec. 21st to 23rd: patterns in the Socks category will be 20% off! Dec. 24th, CHRISTMAS EVE! : Take 20% off the patterns in the Sets Category! And for the cherry on the sundae? A Present For You! For every order of $60 plus, we will include one of our hand-made bars of goat’s milk soap! So pick your favourite scent and prepare to treat yourself to a little extra luxury! Please, sit back, relax in the peace and comfort of your own home and enjoy a little shopping trip on Les Belles Bouclettes! And from all of us to all of you, a very Merry Christmas! Happy Creating!